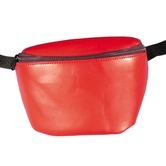 Connevans bum bags and waist pouches are designed specifically for use by radio aid wearers and to appeal to all ages and tastes! They will take any fm system, bodyaid or cochlear implant processor currently on the market. 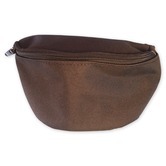 The larger bum bag has two pockets, the universal waist pouch just has one. Please follow this link to read about some very happy customers! 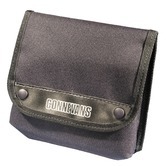 While all our Connevans bum bags and waist pouches were originally intended for use by radio aid wearers, they are non-specific products and are in fact suitable for use in a very wide range of applications! 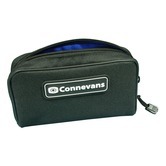 We are able to cater for custom designs, with a minimum order quantity - if you are interested, please contact Customer Services on mail@connevans.com! 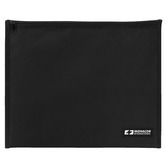 (£5.98 ex VAT) Part no: 35UP? 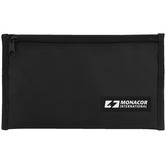 Medium sized universal pouch, perfect for storing handheld microphones, technical documents, adapters and cables. 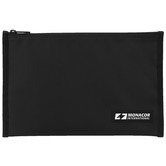 Universal bag 230 x 130mm for transporting and storing, e.g. technical documents, microphones, cables and adapters.